New Episodes of Classic Thunderbirds Are GO! It’s the moment fans have been waiting for for nearly 50 years – but soon they’ll be able to get hold of brand new episodes of classic Thunderbirds thanks to a new project: Thunderbirds 1965. 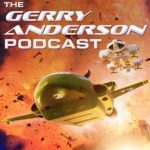 Thunderbirds 1965 is the brainchild of Filmed in Supermarionation director Stephen La Riviere, and is going ahead with the blessing of the Gerry Anderson estate, Sylvia Anderson, and ITV! The project will see the creation of up to three new episodes based on the audio-only ‘mini albums’ released in the 1960s. The Thunderbirds 1965 project launched on crowdfunding website Kickstarter on 10th July 2015, and backing the project is the only way that fans from around the globe will be able to watch these new episodes. In addition to a DVD / Blu-ray of the finished production, project backers have the opportunity to receive other exclusive rewards including a commemorative photo-book featuring rare and previously unpublished stills from the original series and an exclusive ‘Thunderbirds Experience’. This experience will give backers the chance to visit the Thunderbirds 1965 production studio and experience first-hand the classic model and puppet filmmaking techniques first developed fifty years ago. The recreated marionette stars will also be around for meet and greets. The Thunderbirds 1965 Kickstarter campaign has already smashed through its base goal of £75,000 to fund the first of the three special episodes and is now well on its way to becoming the biggest British film & television project ever hosted by the crowdfunding website. 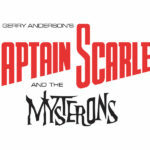 Thunderbirds 1965 will be produced by the team behind the critically acclaimed Filmed in Supermarionationdocumentary, which tells the story of the pioneering production talent of Thunderbirds, Stingray, Captain Scarlet and other memorable marionette television shows. 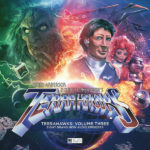 Sylvia Anderson and the estate of the late Gerry Anderson have welcomed the initiative.